It was a Tuesday, which is when most of my Kick A Rock memories happen because Tuesdays are the day we meet. Nonetheless, our brainstorm for the evening took us down a path of reminiscing about funny commercials from our youth. Well, thanks to Tony, he reminded us all just how funny this Sprite commercial really was. With it's perfect parody of your traditional natural juice propaganda, and their use of child-friendly icons, it brilliantly points out that "image is nothing". As for "thirst is everything", I don't buy it. Besides, I never really cared for Sprite, or any cola for that matter. But as far as commercials are concerned, damn this one is hilarious! 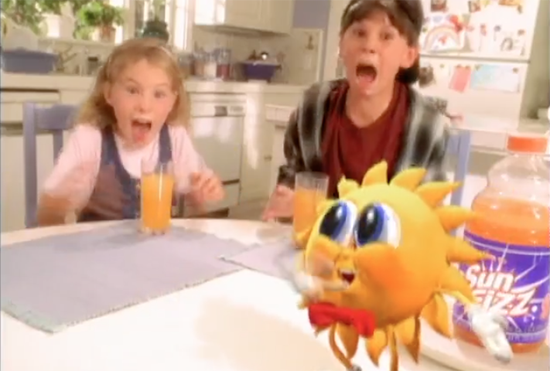 Do you have a favorite commercial from your childhood? Let us know in the comments below. Would love to know what makes you chuckle.